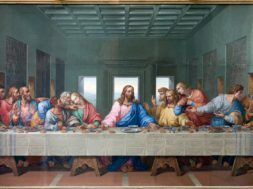 How and Why Did Jesus Love His Enemies? Why Should We? Home Social Issues Holidays Condemned to Death, How Did Jesus Love His Enemies? Ep.1015: Condemned to Death, How Did Jesus Love His Enemies? Love your enemies. Once you dig down to the deepest meaning of this phrase it is perhaps one of the most daunting tasks ever put upon anyone. Jesus not only taught us in detail how to love our enemies, he showed us in living color how to profoundly care for them. He literally "walked the walk" – all the way to Calvary. As we look back upon the death and resurrection of Jesus, we will pause and consider his applying the principle of selfless, sacrificial love and then transforming it into a timeless reality. How did Jesus show devotion to those who were devious and hostile, attachment to those who antagonized him and affection for those who became his adversaries? 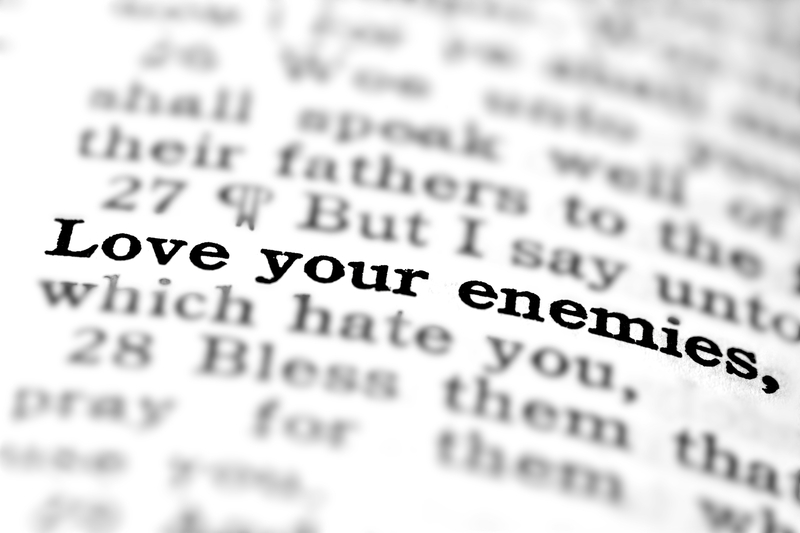 Why should we love our enemies? The interchange between them is both fascinating and revealing. Pilate questioned Jesus with several relevant inquiries. Jesus answered him with specific kinds of answers designed to be respectful, reveal pertinent truth but not bargain or plead for his life or for justice. Jesus told Pilate all he needed to know regarding who he was and what he stood for. Pilate heard and then feared, for he knew the wrath of Jesus’ accusers was both blind and ferocious. While Jesus’ life was hanging in the balance of the power of the governor’s position, Jesus reminded Pilate that he was merely a man and had his authority only because God himself allowed him to. So, Jesus told Pilate what he needed to know and Jesus allowed Pilate to cave in to the fury of his accusers. Jesus showed him respect, gave him truth and accepted his spineless decision. 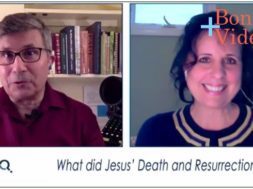 In our April 2, 2018 podcast, “Condemned to Death, How did Jesus Love His Enemies?” we talked about the details of this account as well as several others. What we found was a pattern of calm wisdom applied by Jesus. At every turn he protected those around him, gave the opportunity for truth to be seen and hypocrisy to be exposed. The telling and conversation about these stories sets your table for an inspiring look at who Jesus really is as well as a profound understanding of what it means to love your enemies. Listen in and see for yourself! previous Christian and Single - What Does Life Look Like? next VIDEO: Moments that Matter - Condemned to Death, How Did Jesus Love His Enemies?